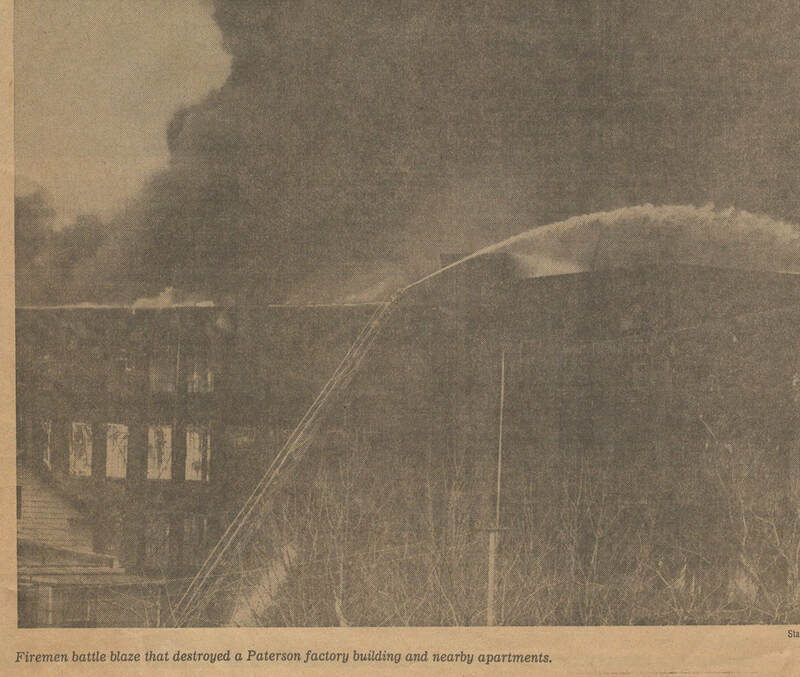 There is an interesting story on how the fire was reported. 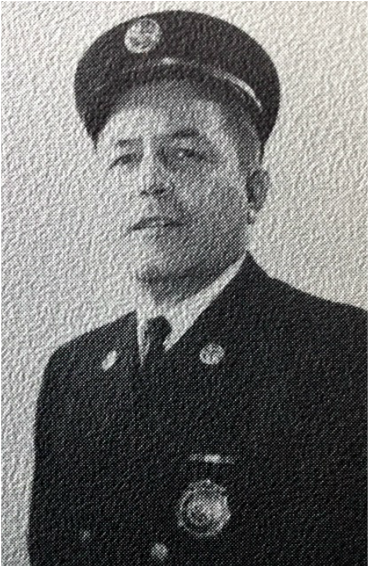 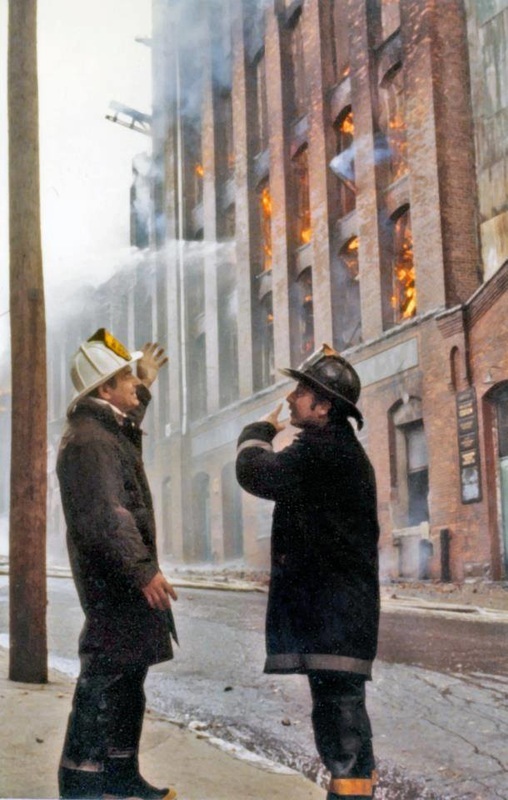 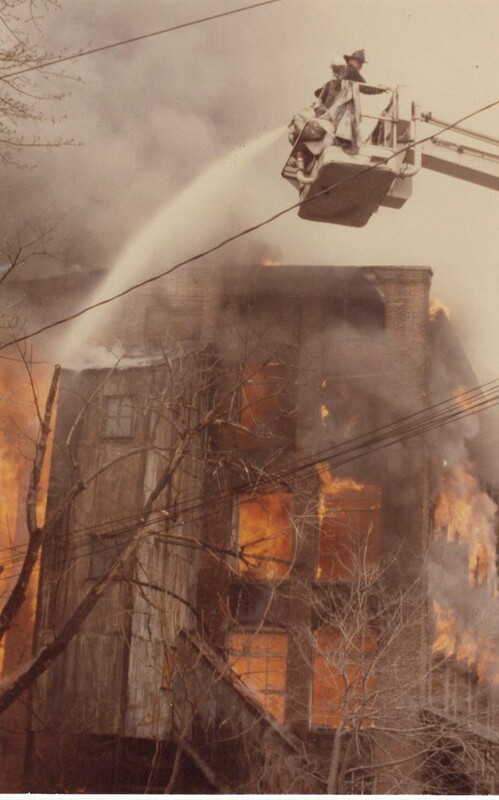 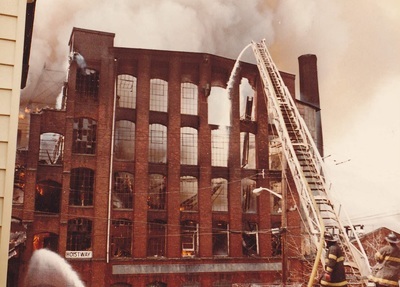 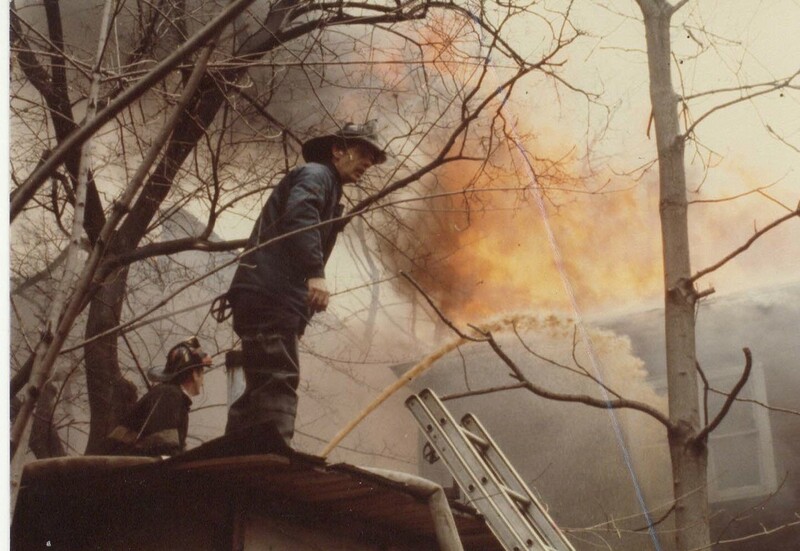 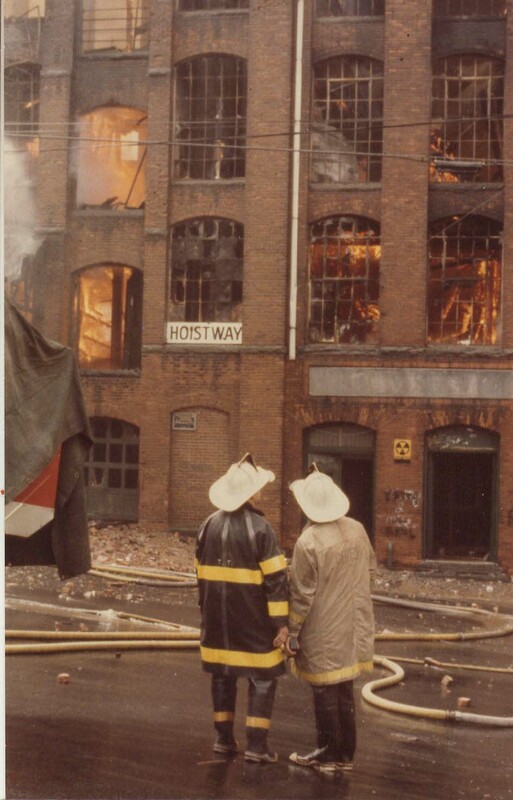 Deputy Chief Joe Leonard was the 1st Battalion chief officer, operating out of the Van Houten Street Headquarters, that day. 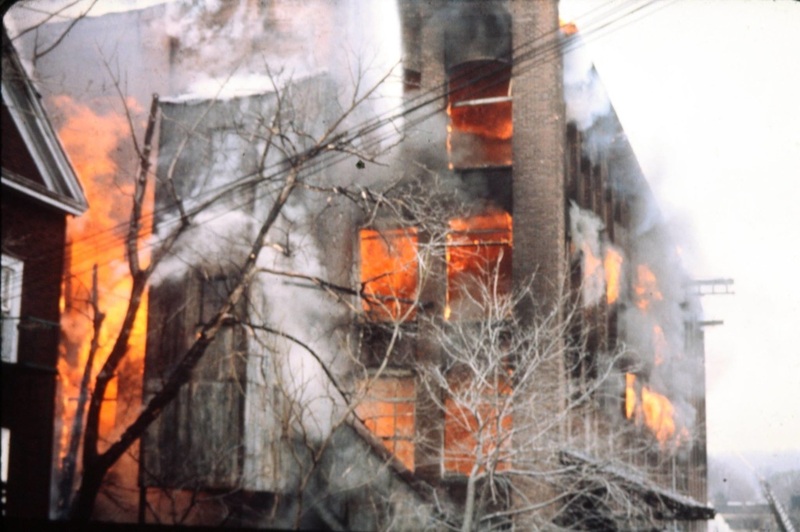 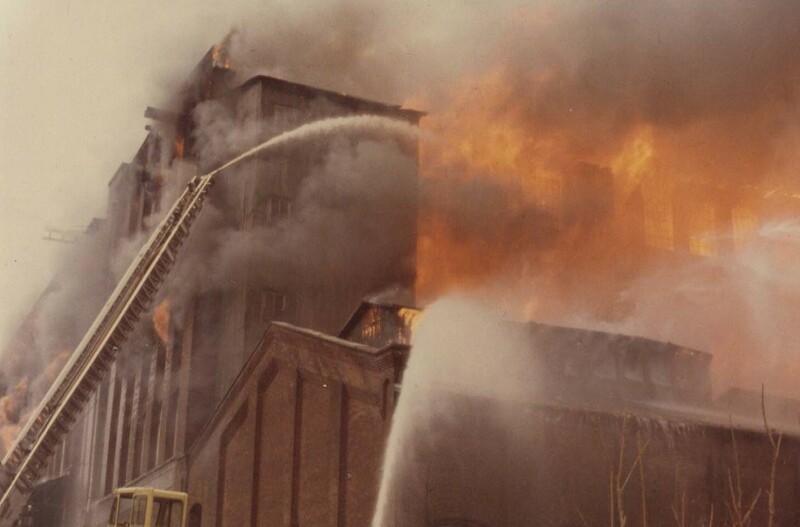 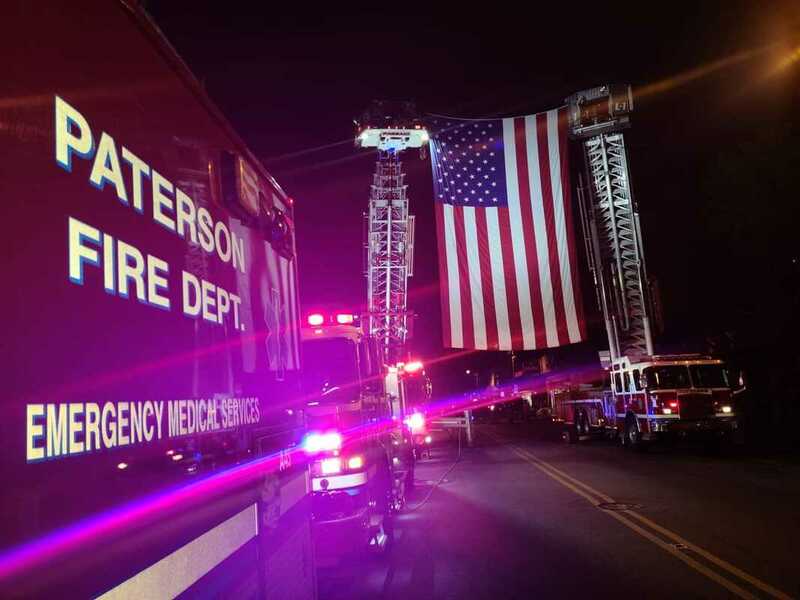 After picking up reports and leaving the quarters of Engine Company 12, located at Circle Avenue and North Third Street, he noticed a column of smoke in the direction of the top of Temple Street. 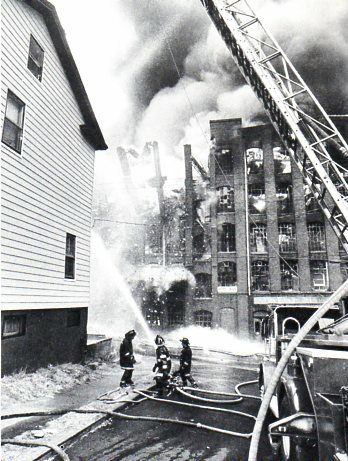 He rode in that direction to find the source of the smoke, which was intensifying. 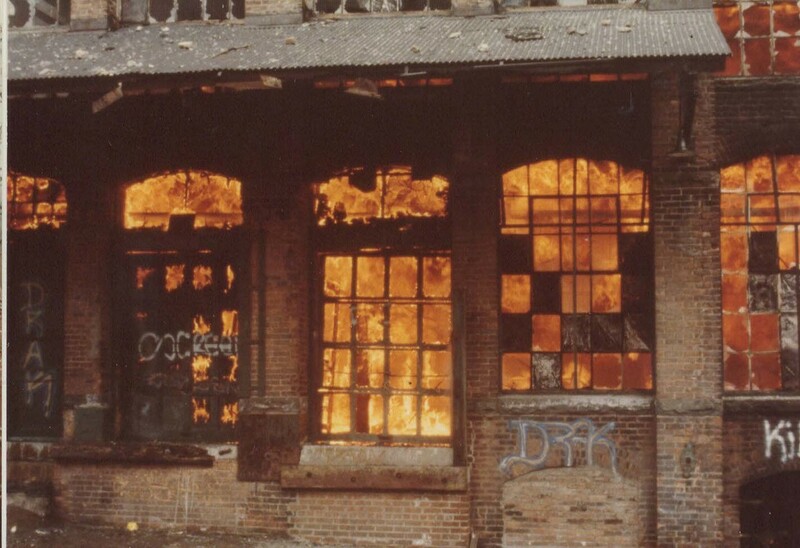 He ran smack into the ripping fire in the Cliffside Dye massive complex. 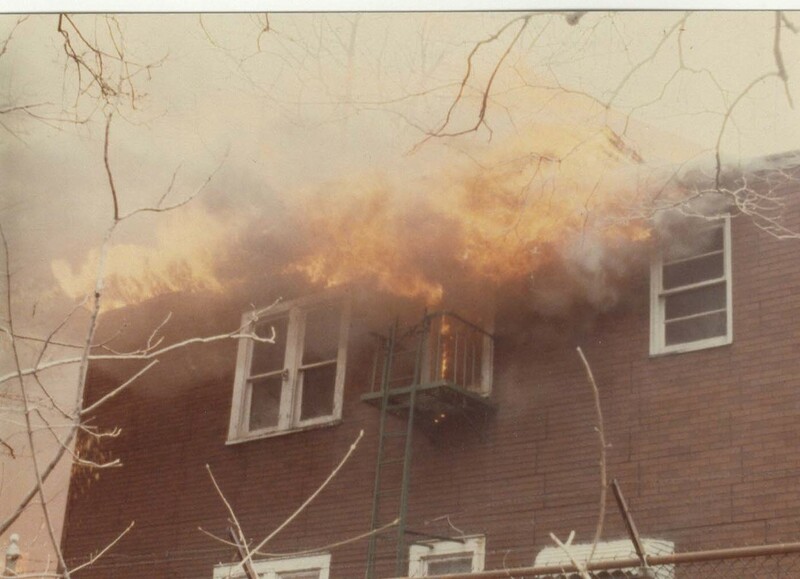 Via radio he called for a box alarm with a 2nd alarm to follow. 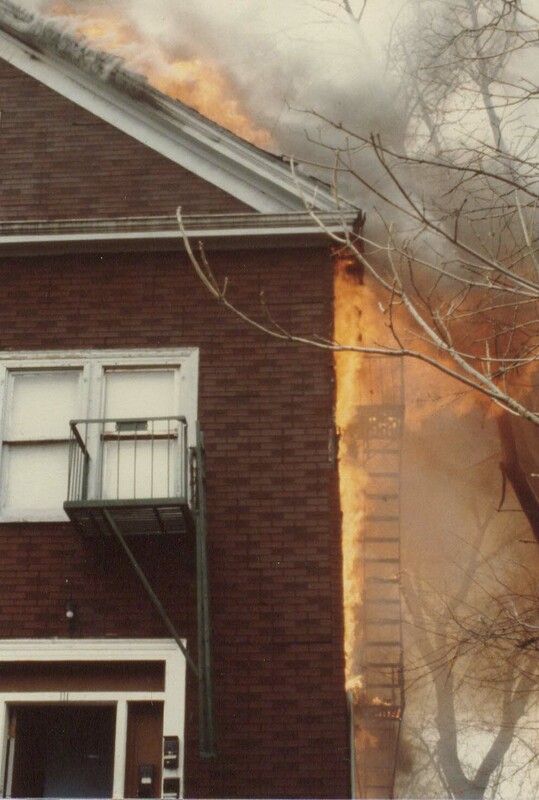 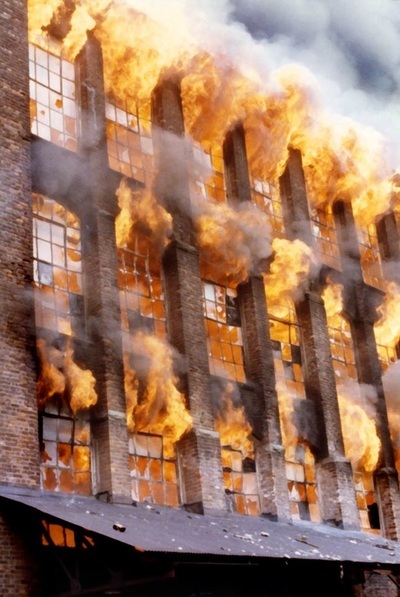 Amazingly the fire was never reported to either the Fire Alarm Office or the Police Department. 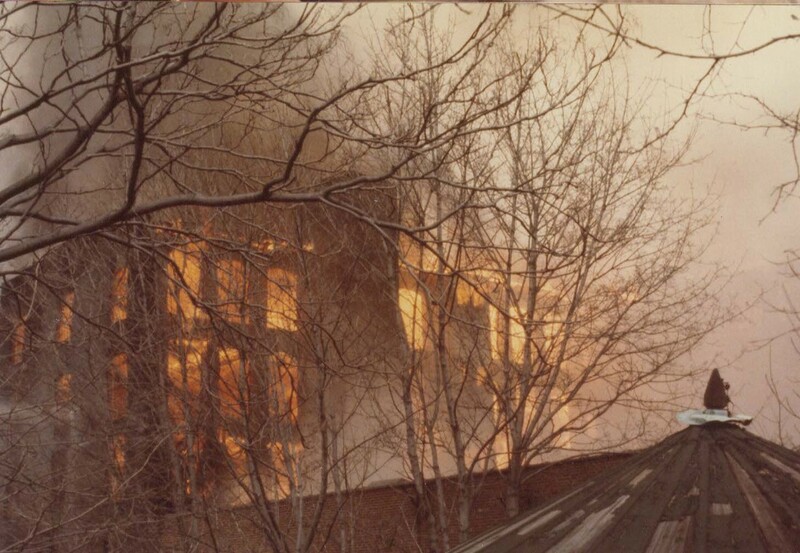 ​The chief's report was the first notification. 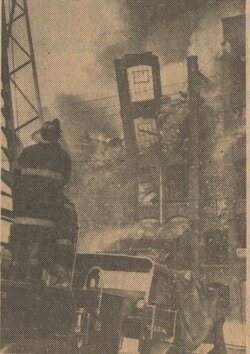 When he got on the scene he was the first city vehicle of any kind there, not even a DPW truck. 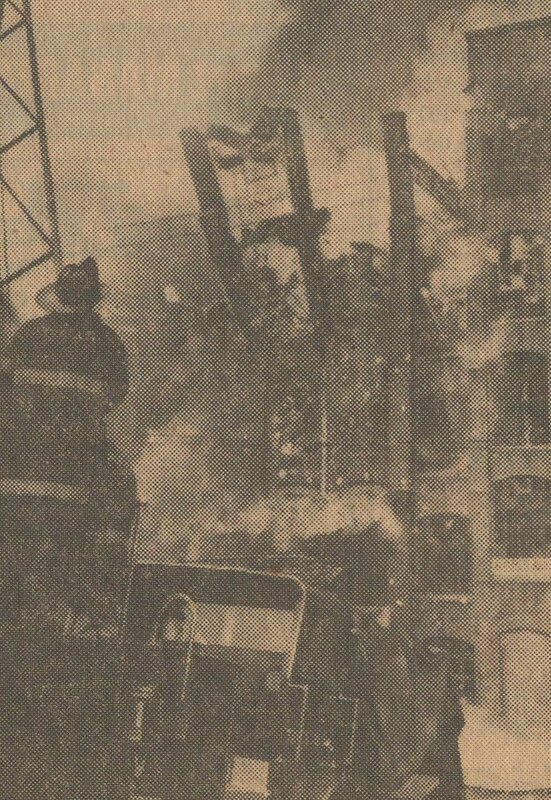 Amazing still, people had pulled over their vehicles (on Belmont Avenue), got out and were watching the fire. 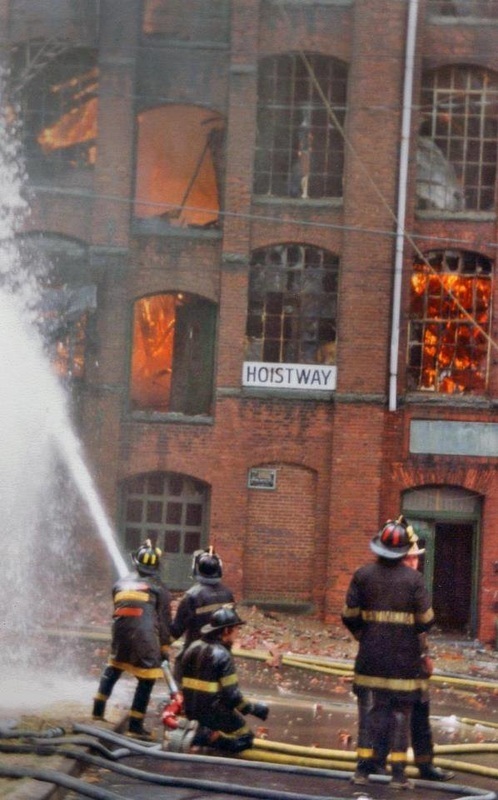 Others were beeping their horns at him and pointing to the inferno. 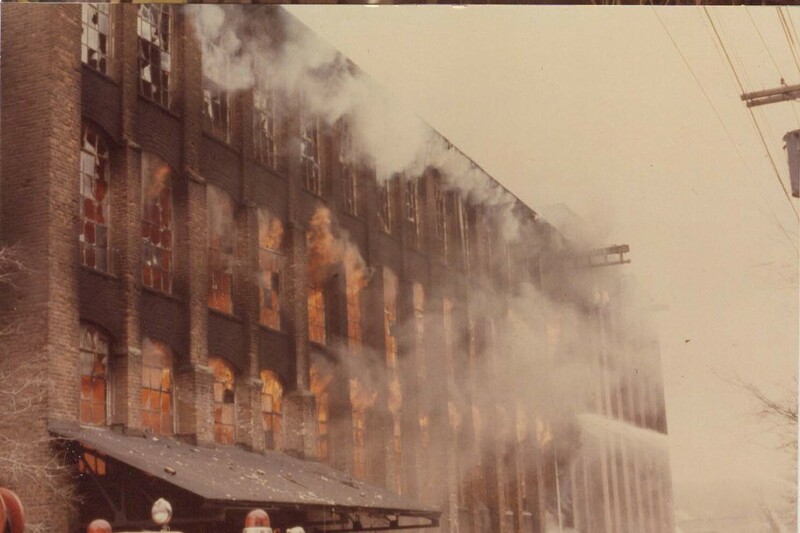 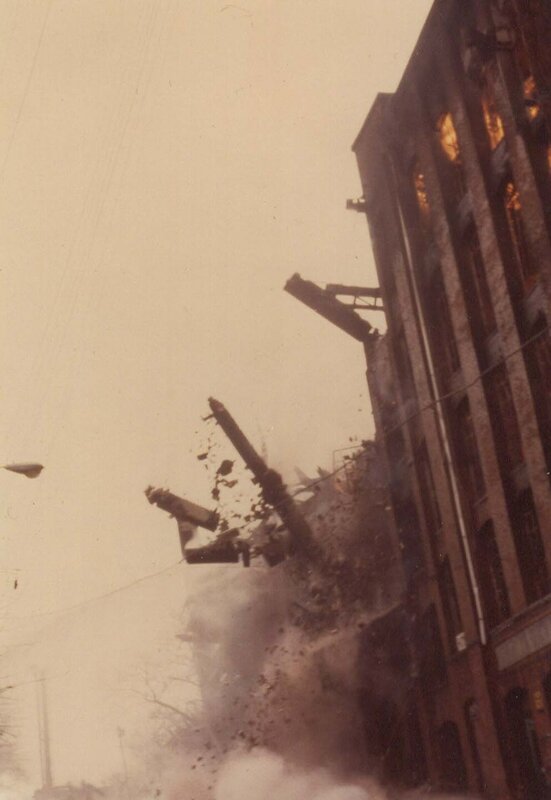 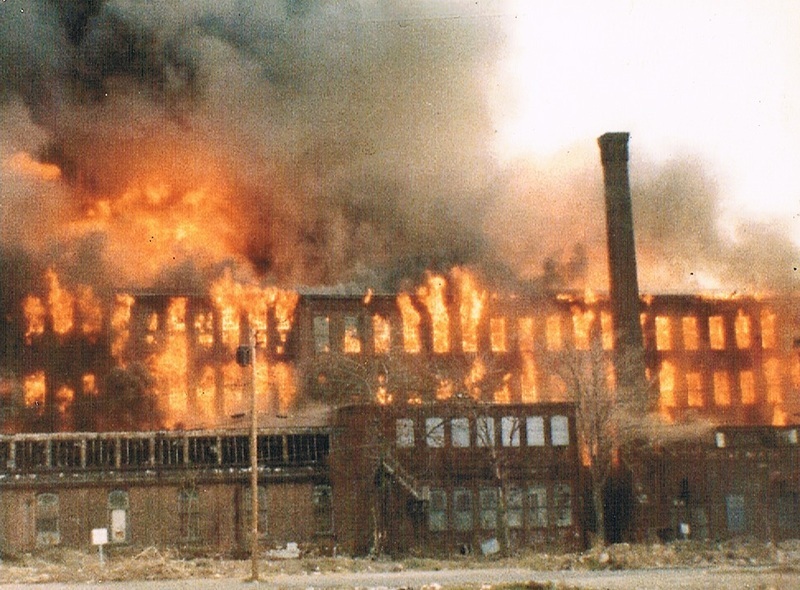 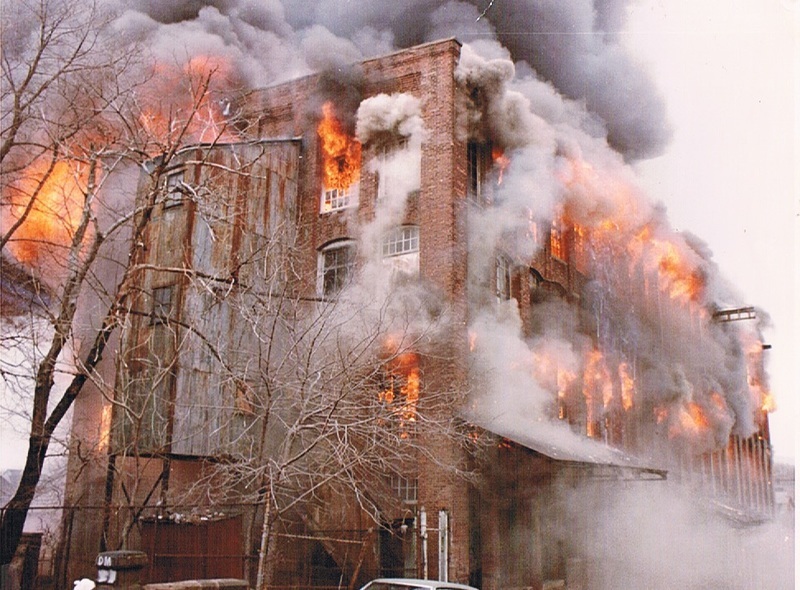 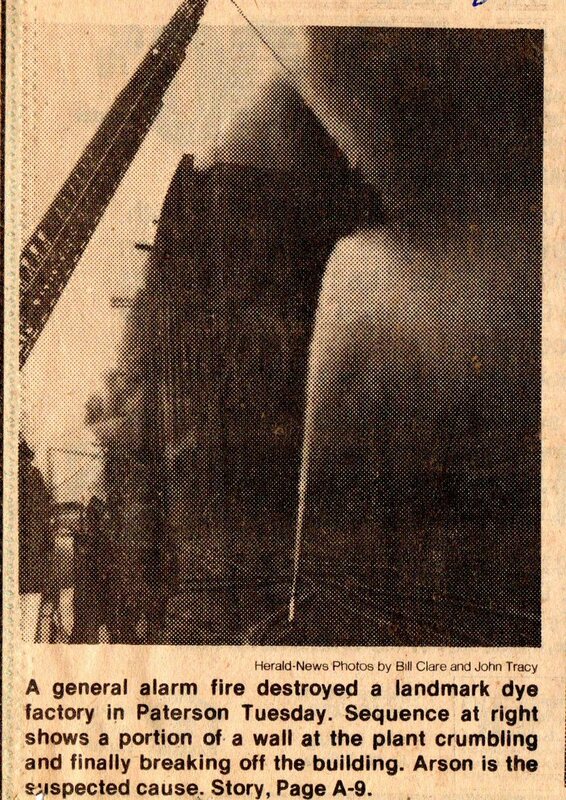 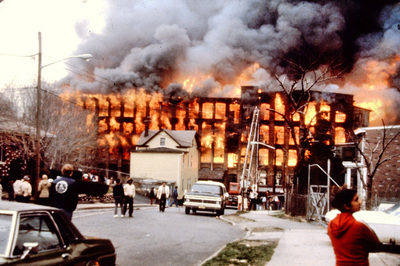 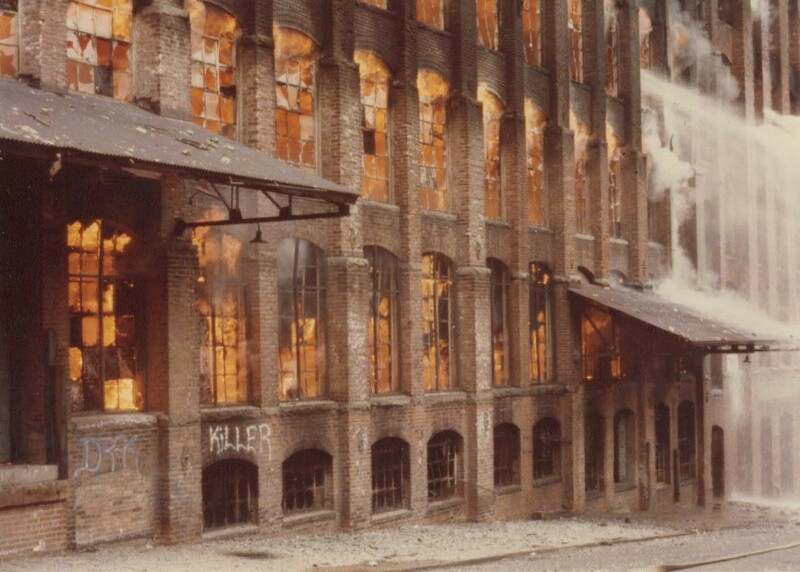 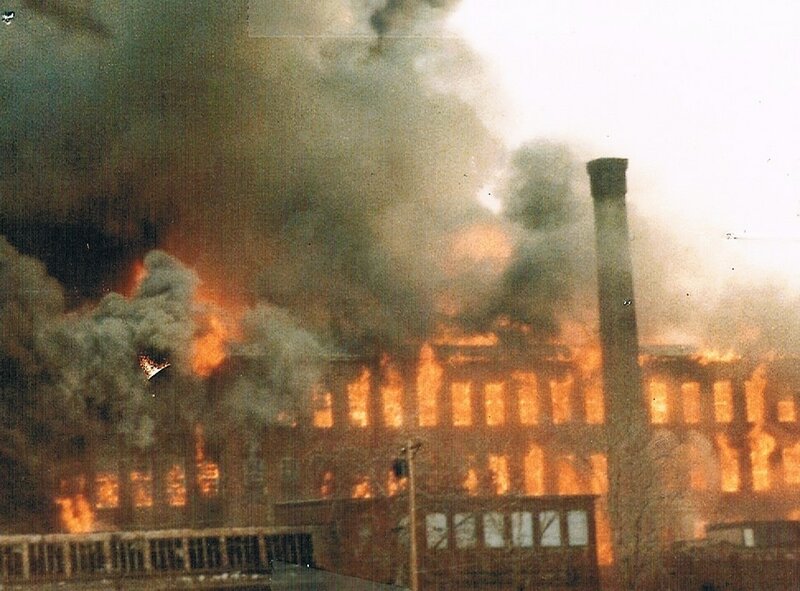 Of note is that on November 25, 1979, at 4:17 am, there was a fourth alarm at the same building. 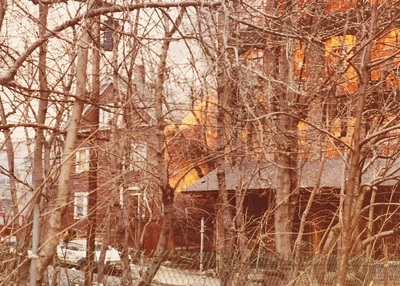 Previously, the owners wanted to turn the complex into some sort of senior complex but were turned down by the city. 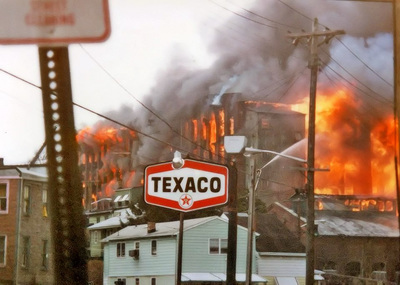 The award winning photo below with the Texaco sign was taken by Don Giaquinto. 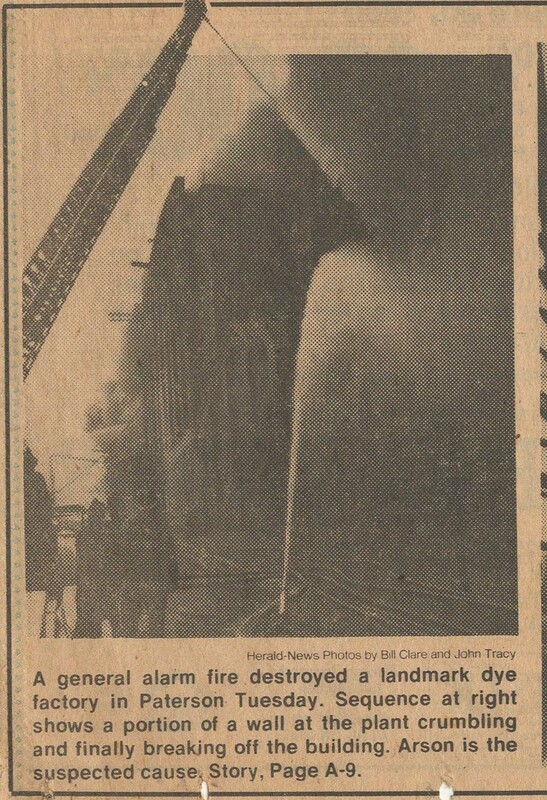 The first due company of course was Engine 12. 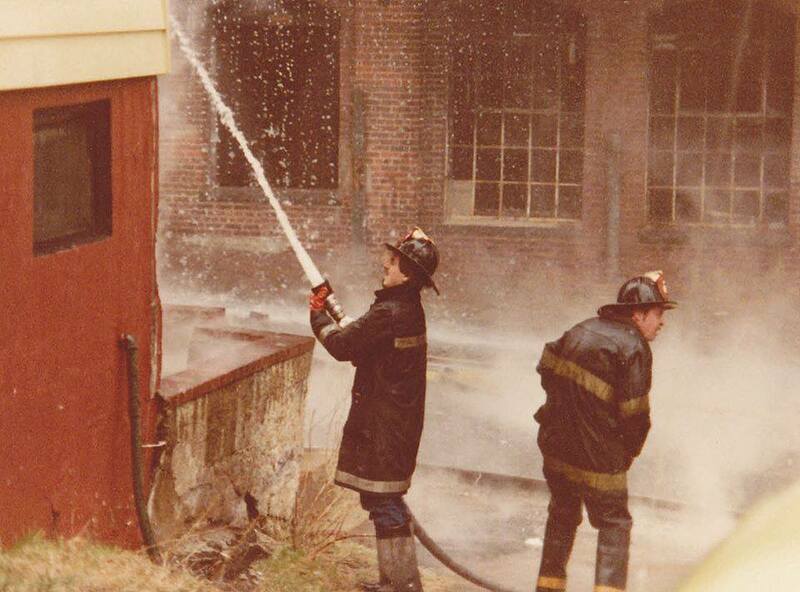 That day they had a 3 man company. 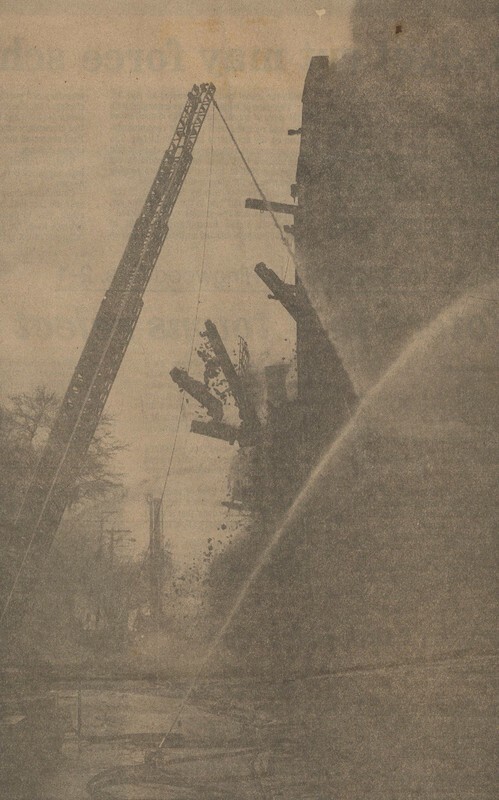 FF Patsy Giglio was the chauffeur, FF Joe Pellicotti was the acting Captain, and Armindo Cortez was the hydrant man. 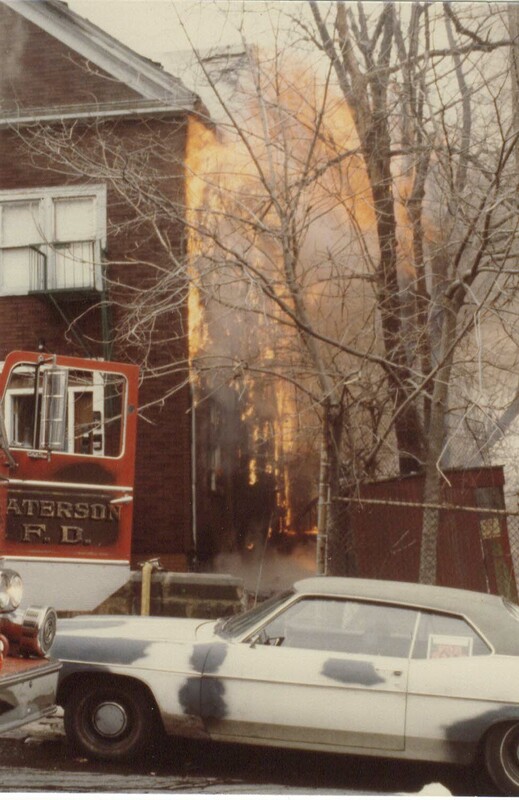 FF Cortez notes: "When we pulled up, it was fully involved!"